Alexa Hammonds (left) and Hannah Hammonds (right) saved each other while floating the Logan River last summer. NIBLEY – Two sisters from Nibley earned one of the highest and rarest awards from the Girl Scouts of the USA. Hannah and Alexa Hammonds received the Lifesaving Bronze Cross during an award banquet on May 3 in Salt Lake City. This is only the second time in 92 years that a Girl Scout from Utah has achieved this honor. 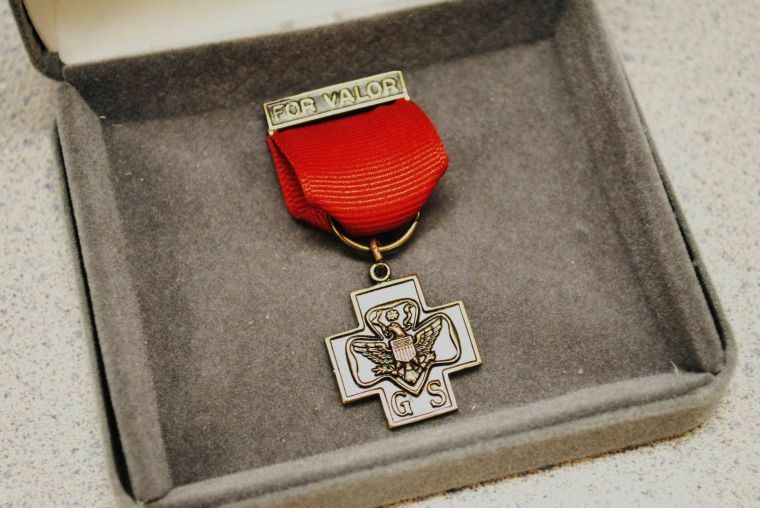 According to Girl Scouts of the USA, the Lifesaving Bronze Cross is given for saving a life or attempting to save a life with risk to the candidate’s own life. The fourteen-year-old sisters risked their lives to save each other while floating down Logan River last July. “We found this current that we were riding down, and I wanted to go through it one more time. I floated down a little too far and I got caught in the rapids. That’s when Alexa jumped in and pushed me into a rocky bank,” Hannah explained. Hannah quickly realized her sister was now caught in the rapids. She began running down the bank, listening to Alexa’s screams. The sisters were in shock and do not remember many of the details of that day. Luckily, they walked away with just a few cuts and bruises. Their father, John Mark Hammonds, said after the incident, the girls went through a lot of hugging, crying, and thanking each other over and over again. John said that this award is so rare that many people in the Girl Scout program aren’t even aware of it. It was when he was telling the story of his daughters to a friend, that the friend told him about the lifesaving awards. “I made contact with the council and they sent me the application and paperwork,” he explained. He added the Girl Scouts of Utah did a phenomenal job working through the application, so it could get to the national level and approved before the deadline. Hannah said that receiving their award was a little bit scary because they were the very last ones on the program. When they went up to accept their medals, she said the big crowd of people gave them a standing ovation. “Everyone clapped forever,” Alexa said. The sisters said it’s strange to think they saved one another’s lives, but they are glad they did. Besides just being sisters, they are also good friends.